In the early 20th century, in West Sumatra are marked with a period full of social and intellectual upheaval. In starting with the return of three scholars Minangkabau after studying in Mecca, which is Inyik Djambek, Inyik Apostles and Inyik Abdullah Ahmad bring modernization of Islam and thoughts Muhammad Abduh and Jamaluddin al-Afghani in Egypt. The movement is not only motivated by the reform movement that has flourished in Egypt but also by the encouragement rivalry against the Western-educated class that would materially and socially looks more prestigious. Sheikh Muhammad Djamil Djambek (1860 – 1947), is one of three pioneer scholar of Islamic renewal of West Sumatra in the early 20th century, born in Bukittinggi, which was originally known as the Sufi Sheikh who obtained a diploma from the congregation Naqshbandiyya-Khalidiyah and an expert leading astronomy. The name of Sheikh Muhammad Djamil Djambek better known as Sheikh Muhammad Djamil Inyik Djambek or Inyik Djambek, who was born of noble family, from father named Saleh Datuk Maleka, a descendant of princes and chiefs Kurai, while his mother came from Batavia. During his childhood, Muhammad Djamil get an education in the Lower School that prepares students to enter the school teacher (Kweekschool). Into the teenage years he was familiar with life parewa who do not want to disrupt family life, widespread among parewa mix of mutual respect, even though actual life happy parewa gamble, risking chickens, but experts in the martial and martial arts. At the time Muhammad Djamil aged 22 years, became interested in religious studies and Arabic, and studied at the surau Koto Mambang, in Pariaman and in Batipuh lowland. When he was 35 years (1896), his father brought to Mecca, and lived there for 9 years studying the science of religion, under the guidance of his teachers, among others Djalaluddin Taher, Sheikh Bafaddhal, Sarawak Sheikh and Sheikh Ahmad el Khatib Minangkabawy. During studied in Mecca, much of which is devoted learned about science congregation, in the Jabal Abu Qubais. Not surprisingly, he is respected Sufi Sheikh. However, of all the science that made him famous is didalaminya and astronomy, which studied the Sheikh Taher Djalaluddin, and then taught astronomy who demanded that, to the people of Sumatra and Jawi who settled in Mecca, especially to the student of knowledge of the Minangkabau who studied in Mecca. Like, Ibrahim Musa Parabek (founder of the college Tawalib Parabek) and Sheikh Abdullah (founder of the college Tawalib Padang Panjang). In 1903, Muhammad Djamil return to their homeland, and began to give lessons in traditional religion. Many of his disciples from among the congregation came to study engineering. Among his students call Inyik Djambek, because he looked very neat and orderly maintain vase and beard, which in the Minang language called Djambek. His heart was more inclined to give his knowledge, though not through the institution or organization. He was so interested in the quest to improve one’s faith. He started to leave and return to near Bukittinggi parewa life in Kamang, a village center of Islamic reform under Tuanku nan Renceh in the 19th century. He began to build the mosque in two Central Rice and in Kamang the Koran and spread religious knowledge to increase faith. Over time, attitudes and views of the congregation began to change. Sheikh Muhammad Djamil Djambek now, no longer interested in the congregation. In early 1905, held a meeting to discuss the validity of religious congregations, in the Mount Surungan, Padang Panjang. He was in the party who oppose the orders, Bayang and dealing with Hajj Sheikh Abbas who defend congregations. He wrote a book about the criticism of the congregation entitled Information About the Origin of Thariqatu al-Naksyabandiyyah and Everything Related to Him, consisting of two volumes. One explanation in the book, the congregation Naksyabandiyyah created by people from Persia and India, which is full of superstition and superstition, which is farther away from the teachings of Islam. Another book titled Understanding Sufism and Sufi written to realize the reform of Islamic thought. But in general he did not want to be hostile to the Minangkabau customs. Dozens of polemical books, both in Arabic and Malay language began to be published. Inyik Djambek choose apply their knowledge directly to the public, and teach and study the science of ketauhidan bertabligh manner, in surau Tangah Rice Bukittinggi built in 1908 and became surau Inyik Djambek, until now. Presumably this is a big change that you brought from overseas to study in a land of Mecca. Conveys that Islam as demanded by the times, which requires reaching progress, telling seek knowledge, and build the life of the world, respecting the position of women, and explain that Islam is a religion overall, which submitted the basic teachings of the prophets who was sent to all nations (Qur’an, 10; 47; 2: 164; 35:24, 40:78). Prophets task was completed by the Prophet Muhammad, the apostle of the last messenger to all mankind, and the scholars obliged to convey it to mankind, through tabligh. Sheikh Muhammad Djamil Djambek concluded that the teachings of Islam that should be delivered through lectures tabligh and (wirid-wirid), which was attended by the public. His attention is intended to enhance one’s faith. He gained the sympathy of the characters ninik Kweekschool mamak and among teachers. In fact he held a dialogue with non-Islamic people and the Chinese. Its popularity is that he is friendly with people who do not agree fahamnya. 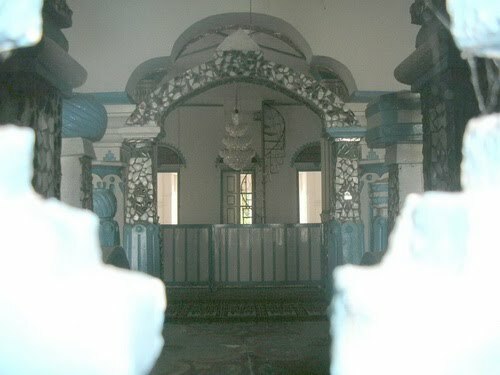 Suraunya was a meeting place for Islamic organizations. Inyik Djambek began actively bertabligh and writing. In 1913, he founded the organization is social in Bukittinggi named Tsamaratul Ichwan which publishes booklets and brochures about religious instruction without making profit. Some years he moves on in this organization until it becomes a commercial enterprise. At that time, he did not participate anymore in the company. Finally, he came to the conclusion that most village children do not perform perfectly religion not because of lack of faith and devotion, but because they lack knowledge about the teachings of Islam itself. He condemned the people who still love teaching congregation. He approached ninik mamak and discuss various problems of society. In 1929, Sheikh Muhammad Djambek founded an organization called the National Union of Minangkabau in order to preserve, respect local customs and love. He is also active in community organizations. Although formally, he does not bind himself to a particular organization, such as Muhammadiyah and Thawalib. He always gave impetus to the renewal of Islamic thought with the help of those organizations., And various magazines, newspapers proclaiming things such upheaval of thought, and streams in the understanding within schools of Islamic law, many start to appear, and customary practice in accordance syarak guide, the Islamic religion, is very busy talking. One of the pioneers of the reform movement in Minangkabau who spread his thoughts from Mecca in the early 20th century was Sheikh Ahmad el Khatib Minangkabawy (1855). He is a descendant of a judge Padri movement is really anti-colonial Dutch. He was born in Bukittinggi in 1855 by a mother named Limbak explained, the brother of Muhammad Salih Datuk Bagindo, Barrel, head of Nagari Ampek Angkek, comes from the Koto Tuo Balaigurah, District Ampek Angkek Candung. His father was Abdullatief Khatib Nagari, the brother of Datuk Rangkayo Mangkuto, Barrel, head of Nagari Kotogadang, District IV Koto, across the canyon Bukittinggi. Both of the mother or the father, Ahmad Khatib was the son of prominent, from among the families that have a religious background and strong custom, son and nephew of two of my lord Ampek Barrel of Koto and Ampek Angkek, which together have a high status in traditional , my lord barrel family, background Padri fighters, from family Pakih Saghir and Tuanku nan Tuo. Ahmad Khatib was educated at grammar school, founded the Dutch in her hometown. He left his hometown to go to Mecca in 1871 was brought by his father. Until he completed his education in Mecca, and married in 1879 with a daughter of Sheikh Salih al Kurd named Siti Khadijah, and since then Sheikh Ahmad Khatib began teaching dikediamannya in Mecca, and never return to their homes. Sheikh Ahmad Khatib, reaching the highest level position in teaching religion as a priest of the School Syafei at the Grand Mosque in Mecca. As a priest of the School Syafe’i, he did not forbid his disciples to study the writings of Muhammad ‘Abduh, a reformer in Islamic thought in Egypt. Sheikh Ahmad Khatib was rejected two kinds of habits in Minangkabau, about the legacy and the congregation Naqsyahbandiyah who practiced at that time. Both problems were continuously dibahasnya, diluruskannya, and that is not in line with Islamic law opposed. Understanding and deepening of Sheikh Ahmad el Khatib Minangkabawy, was later taken by the reform movement in Minangkabau, through tabligh at surau-surau, discussions, and scholars and zu’ama muzakarah, publishing brochures and newspaper movement, establishment of schools such as madrasa Thawalib Sumatra-madrasah, and Diniyah Puteri, to the villages-villages in Minangkabau, thus becoming a pioneer of the Republic of Indonesian independence movement. Ahmad Khatib thoughts trigger a renewal of Islamic thought in Minangkabau. On the other hand, resistance to the idea Ahmad Khatib came from the Islamic tradition, which is sometimes called the elderly. Criticism about the orders, has been answered by Sheikh Muhamamad When bin Tanta ‘from Mungkar and Sheikh Ali Khatib in the Valley who published several papers about it. Criticism within the estate, raising awareness Minangkabau people to understand, that can not be adjusted matrilineal inheritance law with religious law. Criticism after criticism has given birth to think and study the dynamics, thus was born the tradition of science, in which one eye is on surau Inyik chain Djambek. Among the many religious teachers also are unable to approve the establishment of Ahmad Khatib, who is considered not know peace. Although those thoughts with challenges posed by the customs, as well as students who do not approve of thought so, but this disagreement has spawned a desire to further develop, to revive the reintroduction of consciousness themselves, namely consciousness to leave underdevelopment. Sheikh Ahmad Khatib al Minangkabawy spread from Mecca his thoughts through his writings in magazines or books of Islam, and through the students who studied him. That way, he maintains close contact with local Minangkabau origin, through his students who perform the pilgrimage to Mecca, and who studied with him. They were what later became teachers in their respective homelands. Zuama cleric Ahmad Khatib former student, began explores thought, when followers of Islam intends to remain satisfactory, it must happen a renewal. Each period in the history of human civilization, gave birth to the idea of religious reform which aims to improve the livelihood pattern of his people. Ideals were rediscovered in religion. How to think an Islamic religious belief is based on the assumption, that Islam is not possible hostile culture. With advances in ways of thinking people are trying to rediscover his goal in Islam. The question arises, whether there are elements in Islam pertaining to the ideals of equality, nationalism, the desire to progress and rationalism. The advantages of Sheikh Ahmad Khatib in giving lessons to his student, always avoid taqlid attitude. His students later became the driving reform of Islamic thought in Minangkabau, such as Sheikh Muhammad Djamil Djambek (1860 – 1947), Haji Abdul Karim Amarullah (1879-1945), and Haji Abdullah Ahmad (1878 – 1933), which later became one of the scholars and zuama, leader of the reformers in Minangkabau, Sumatra Thawalib founder, who started from recitation in Mosque Zuama, Iron Bridge, Padangpanjang, and later also founded the Islamic Religious Teachers Association (PGAI), in Jati, Padang, together with Djamil Djambek, in 1919. The pioneer of reform of Islamic thought in Minangkabau come from all fields of professions, including ulama (Haji Apostle), among traders (H. Abdullah Ahmad), and generally succeeded in removing himself from tradition, such as Sheikh Djamil Djambek, Haji Rasul, Abdullah Haji Ahmad and Ibrahim Musa Parabek, in his lifetime is seen as a great scholar, a place to repatriate all the issues of religion and society in general. Reform movement of thought in the field of religion the most widely heard in West Sumatra, sometimes they are called the modernist or also called youth. Ulama Zuama updates thinking that drives many times said, that in every field may use reasonable, which is actually the gift of God, except the religious sector. If the trust remains an acceptance of teachers’ authority alone, without memungsikan mind, it’s called taqlid such Trust, it is useless. Sensible person should be adored God alone and for that he should learn the roots of law (usul al-fiqh). To introduce all the core teachings of Islam to the general public is necessary to the delivery of movement in general, in the form of tabligh. Here lies the greatest gait Djambek Sheikh Mohammed, a cleric of a respected, for the first time introduce bertablig way in public, and survived until now, in the span of a century. Litany (narrator) or Marhaban (praise) which is recited in the mosque, mosque, replaced with tabligh, tells the history of Prophet Muhammad SAW in Malay, so that is understandable by all levels of society. Included is also a tradition of reading the book, replaced by discussing the problems of everyday life, in a tradition of science. All was done because the religion is for anyone who can understand it. He is also known as a scholar who is more active in tablig activities and lectures, followed by other reformers in the realm of Minangkabau, and then developed into an effort to maintain, and see to Islam to avoid a hazard that can damage it, by spreading information to people. Djamil Djambek appropriate expertise to schedule an hour of prayer and fasting for the month of Ramadan. The schedule is published each year in his name began in 1911 Djambek Because Inyik known as Mr. Science Falak, he also publishes Natijah Durriyyah for a period of 100 years, although major work is a problem that is disputed by the traditionalists. Inyik Djambek great respect for the customs Minangkabau, who jointed jointed syarak syarak and God’s Book. He attended the first congress of the Assembly Natural High Density Traditional Minangkabau in 1939. 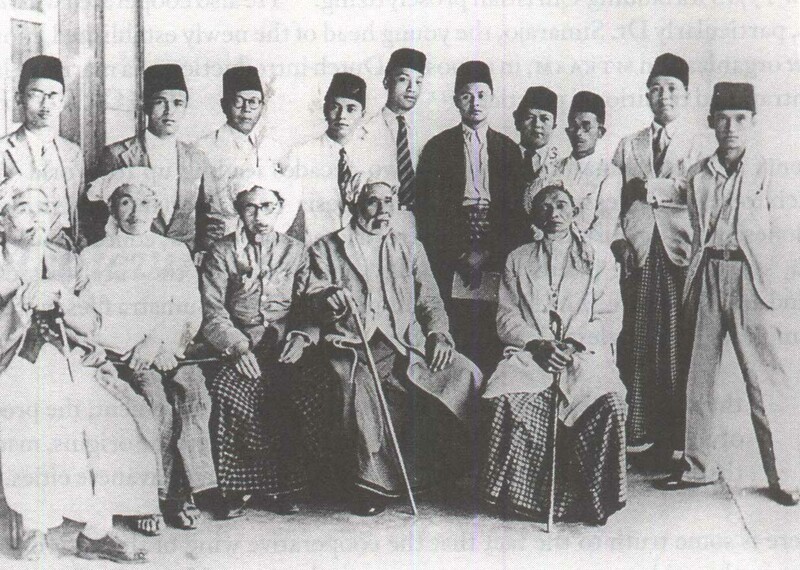 No less important in the course of preaching, during the Japanese occupation, Sheikh Muhammad Djambek establish the High Islamic Council (MIT), based in Bukittinggi. One other reformers, which gives the color in Minangkabau is Sheikh Taher Djalaluddin (1869-1956), in his youth was called Mohammed Tahir bin Sheikh Mohammed, born in Ampek Angkek, Bukittinggi, 1869, son of Sheikh Cangking, grandson of the title Faqih Saghir Tuanku Djalaluddin Sheikh Ahmad Sami ‘, the pioneer returned to the teachings of the Shari’a with Tuanku Nan Tuo. Sheikh Taher Djalaluddin is a cousin of Ahmad Khatib Al Minangkabawy, because his mother’s brother and sister. He is regarded as a teacher by the reformer in Minangkabau. Effect of Sheikh Taher Djalaluddin spread on his students through the magazine Al-Imam who encourage Muslims to wage jihad how important having an independent state, in order to achieve progress, and compete with the western world, with established schools. After the free Sheikh Taher leave his hometown and never returned to his native village, to death in 1956, in Kuala Kangsar, Perak, Malaya. Pembaruaan movement in the early 20th century can be called a reform movement zuama scholars, who actually has inherited continued to be continued in the chain of continuous history since the two previous Padri movement. It can also be stated that the reform movement zuama scholars in the early 20th century in the Minangkabau a chain of Padri movement of the third period. Padri movement of the first period, in the early eighteenth century, scholars began his return triumvirate Minang (1802), consists of Haji Poor in Clever Sikek, LUHAK Agam, Haji Abdur Rahman, in Piobang, LUHAK Limopuluah, and Haji Muhammad Arief, in Sumanik, nan Tuo LUHAK, Tanah Datar, who is also known Lintau Tuanku title, begins with the awareness of Islamic religious spirit in the life of habitual in Minangkabau. Padri Movement perode second followed by Tuanku nan Tuo, Tuanku nan Renceh, lord Kubu Sanang, Koto Ambalau lord, my lord in Lubuk Aur, lord in the field Laweh and Tuanku Imam Bonjol that ends with perlawaanan against Dutch colonial rule (1821-1837), and birth Marapalam an agreed charter adaik basandi syarak, syarak basandi in the realm of God’s Book Minangkabau. Renewal of Islam in Minangkabau is not merely limited to the activities and thoughts alone. But rediscover the basic Islamic teachings or principles that apply timeless, that can overcome space and time. Meanwhile, reform efforts are practical, either in the form of schools and madrassas, or child craft villages, began to appear. The reformer of Islamic thought trying to restore the basic teachings of Islam by removing all sorts of additions that burden, by releasing the Islamists from the old-fashioned, the freezing of the world’s problems. The ideal of the mind to promote people with the Islamic religion and kaffah syumul, can only be achieved through the practice of Shari’a, which is divided to monotheism, worship and morals. In worship, all forbidden, except as he was told. In connection with new traditions that do not have orders, it is not acceptable as worship, and called a heretic. Morals also imitate the Prophet Muhammad, so it appears that well-mannered society with Islamic morality. In the activities of religious purification, the reformers against the various heresies that divided based on heresy by law (Syar’iyah), and heresy in the matter of faith (heresy on proves), which can give birth heresy in practice, such as pronunciation niyah and superstition superstition. On the progress of Islam does not have to grow parallel with the development of intellectual, because there are things that are prohibited and ordered to, within the limits of lawful and unlawful, and amar ma’ruf and nahyun ‘annealing evil, as the true nature of Islam. Religion also arrange things concerned with the world in achieving the life hereafter. This problem is containing the value ‘ubudiyah, in the sense under orders from the din of Allah, whereas the practice of worldly ways, and the goal ultimately is the life hereafter. For instance, orders to maintain the orphan, to respect the elderly, cleaning teeth, whose implementation largely lies in the choice of individuals, but relates to syarak mangato adaik mamakai. Then comes also to the more sensitive issues, political issues and then spread the anti-colonial nationalism towards Indonesia Raya, not apart from this intellectual upheaval. Not only the problem fikh, but also the problem of unity must be faced with an open mind. Fundamental differences between the innovation that violates the law of truth, which sourced the Quran and Hadith, and renewal as a result of the transitional period, should be distinguished clearly, which is ordered and which ditegah. The reformers believe that the chapter al-ijtihad, still remains open. ; They refused taqlid. Ijtihad brings more attention to the reformer for an opinion. The desire to get out of situations that are considered incompatible with the ideas of the ideal, Minangkabau confronts the choices that are sometimes contradictory. Changes in accordance with Islamic teachings, is the solution. But how it is with traditional institutions that have been ingrained in the life of the Minangkabau. Custom parameters that can sometimes close the road is limited to the developed world. In addition to the limitations syarak dealing with problems of sin and not sin, or a matter of vanity and haq. So preaches through tabligh, to played to give knowledge and introduction to the general public, about matters of life and religion. Here the main role of the mosque Inyik Djambek Inyik inherited by Shaykh Muhammad Djamil Djambek. On December 30, 1947 (18 Shafar 1366 H), Inyik Djambek died, leaving a large inheritance, wirid Khamis (every Tuesday), which remained alive until now, has been 103 years old. He was buried beside the mosque at the Central Rice Inyik Djambek Bukittinggi, in the age of 87 years. A few months after that, January 26, 1948 (14 Rabi early 1366 H), close friend Inyik Djambek in preaching, namely Sheikh Daud Inyik Rasyidy (known as Inyik David, father Datuk Palimo Buya Kayo), also died in the mosque Inyik Djambek in Tangah Field, built 1908, when mengimami maghrib prayer, and the next day was buried beside Inyik Djambek, as the tomb of twins. Until now, these two great scholars Minangkabau tomb was loyal guard surau Inyik Djambek, which has a century old. Buya Hamka seorang ulama, politisi dan sastrawan besar yang tersohor dan dihormati di kawasan Asia. HAMKA adalah akronim namanya Haji Abdul Malik bin Abdul Karim Amrullah. Lahir di kampung Molek, Maninjau, Sumatera Barat, 17 Februari 1908 dan meninggal di Jakarta 24 Juli 1981.
yaitu panggilan buat orang Minangkabau yang berasal dari kata abi, abuya dalam bahasa Arab, yang berarti ayah kami, atau seseorang yang dihormati. Ayahnya, Syeikh Abdul Karim bin Amrullah, disapa Haji Rasul, seorang pelopor Gerakan Islah(tajdid) di Minangkabau, sekembalinya dari Makkah 1906.HAMKA mendapat pendidikan rendah di Sekolah Dasar Maninjau sehingga Darjah Dua. Ketika usia HAMKA mencapai 10 tahun, ayahnya telah mendirikan Sumatera Thawalib di Padang Panjang. Di situ HAMKA mempelajari agama dan mendalami bahasa Arab. HAMKA juga pernah mengikuti pengajaran agama di surau dan masjid yang diberikan ulama terkenal seperti Syeikh Ibrahim Musa, Syeikh Ahmad Rasyid, Sutan Mansur, R.M. Surjoparonto dan Ki Bagus Hadikusumo.Hamka mula-mula bekerja sebagai guru agama pada tahun 1927 di Perkebunan Tebing Tinggi, Medan dan guru agama di Padangpanjang pada tahun 1929. HAMKA kemudian dilantik sebagai dosen di Universitas Islam, Jakarta dan Universitas Muhammadiyah, Padangpanjang dari tahun 1957 hingga tahun 1958. Setelah itu, beliau diangkat menjadi rektor Perguruan Tinggi Islam, Jakarta dan Profesor Universitas Mustopo, Jakarta. Dari tahun 1951 hingga tahun 1960, beliau menjabat sebagai Pegawai Tinggi Agama oleh Menteri Agama Indonesia, tetapi meletakkan jabatan itu ketika Sukarno menyuruhnya memilih antara menjadi pegawai negeri atau bergiat dalam politik Majlis Syura Muslimin Indonesia (Masyumi). Hamka adalah seorang otodidiak dalam berbagai bidang ilmu pengetahuan seperti filsafat, sastra, sejarah, sosiologi dan politik, baik Islam maupun Barat. Dengan kemahiran bahasa Arabnya yang tinggi, beliau dapat menyelidiki karya ulama dan pujangga besar di Timur Tengah seperti Zaki Mubarak, Jurji Zaidan, Abbas al-Aqqad, Mustafa al-Manfaluti dan Hussain Haikal. Melalui bahasa Arab juga, beliau meneliti karya sarjana Perancis, Inggris dan Jerman seperti Albert Camus, William James, Sigmund Freud, Arnold Toynbee, Jean Paul Sartre, Karl Marx dan Pierre Loti. Hamka juga rajin membaca dan bertukar-tukar pikiran dengan tokoh-tokoh terkenal Jakarta seperti HOS Tjokroaminoto, Raden Mas Surjoparonoto, Haji Fachrudin, Ar Sutan Mansur dan Ki Bagus Hadikusumo sambil mengasah bakatnya sehingga menjadi seorang ahli pidato yang handal. Hamka juga aktif dalam gerakan Islam melalui pertubuhan Muhammadiyah. Beliau mengikuti pendirian Muhammadiyah mulai tahun 1925 untuk melawan khurafat, bidaah, tarekat dan kebatinan sesat di Padang Panjang. Mulai tahun 1928, beliau mengetuai cabang Muhammadiyah di Padang Panjang. Pada tahun 1929, Hamka mendirikan pusat latihan pendakwah Muhammadiyah dan dua tahun kemudian beliau menjadi konsul Muhammadiyah di Makassar. Kemudian beliau terpilih menjadi ketua Majlis Pimpinan Muhammadiyah di Sumatera Barat oleh Konferensi Muhammadiyah, menggantikan S.Y. Sutan Mangkuto pada tahun 1946. Beliau menyusun kembali pembangunan dalam Kongres Muhammadiyah ke-31 di Yogyakarta pada tahun 1950. Kegiatan politik HAMKA bermula pada tahun 1925 apabila beliau menjadi anggota parti politik Sarekat Islam. Pada tahun 1945, beliau membantu menentang kemaraan kembali penjajah Belanda ke Indonesia melalui pidato dan menyertai kegiatan gerila di dalam hutan di Medan. Pada tahun 1947, HAMKA dilantik sebagai ketua Barisan Pertahanan Nasional, Indonesia. Beliau menjadi anggota Konstituante Masyumi dan menjadi pemidato utama dalam Pilihan Raya Umum 1955. Masyumi kemudiannya diharamkan oleh pemerintah Indonesia pada tahun 1960. Dari tahun 1964 hingga tahun1966, HAMKA telah dipenjarakan oleh Presiden Sukarno kerana dituduh pro-Malaysia. Semasa dipenjarakanlah maka beliau mula menulis Tafsir al-Azhar yang merupakan karya ilmiah terbesarnya. Setelah keluar dari penjara, HAMKA dilantik sebagai ahli Badan Musyawarah Kebajikan Nasional, Indonesia, anggota Majlis Perjalanan Haji Indonesia dan anggota Lembaga Kebudayaan Nasional, Indonesia. Selain aktif dalam soal keagamaan dan politik, HAMKA merupakan seorang wartawan, penulis, editor dan penerbit. Sejak tahun 1920-an lagi, HAMKA menjadi wartawan beberapa buah akhbar seperti Pelita Andalas, Seruan Islam, Bintang Islam dan Seruan Muhammadiyah. Pada tahun 1928, beliau menjadi editor majalah Kemajuan Masyarakat. Pada tahun 1932, beliau menjadi editor dan menerbitkan majalah al-Mahdi di Makasar. HAMKA juga pernah menjadi editor majalah Pedoman Masyarakat, Panji Masyarakat dan Gema Islam.Hamka juga menghasilkan karya ilmiah Islam dan karya kreatif seperti novel dan cerpen. Karya ilmiah terbesarnya ialah Tafsir al-Azhar (5 jilid) dan antara novel-novelnya yang mendapat perhatian umum dan menjadi buku teks sastera di Malaysia dan Singapura termasuklah Tenggelamnya Kapal Van Der Wijck, Di Bawah Lindungan Kaabah dan Merantau ke Deli. Hamka pernah menerima beberapa anugerah pada peringkat nasional dan antarbangsa seperti anugerah kehormatan Doctor Honoris Causa, Universitas al-Azhar, 1958; Doktor Honoris Causa, Universitas Kebangsaan Malaysia, 1974; dan gelaran Datuk Indono dan Pengeran Wiroguno daripada pemerintah Indonesia. Hamka telah pulang ke rahmatullah pada 24 Juli 1981, namun jasa dan pengaruhnya masih terasa sehingga kini dalam memartabatkan agama Islam. Beliau bukan sahaja diterima sebagai seorang tokoh ulama dan sasterawan di negara kelahirannya, malah jasanya di seluruh alam Nusantara, termasuk Malaysia dan Singapura, turut dihargai. – Khatibul Ummah, Jilid 1-3. Ditulis dalam huruf Arab. – Pembela Islam (Tarikh Saidina Abu Bakar Shiddiq),1929. – Adat Minangkabau dan agama Islam (1929). – Ringkasan tarikh Ummat Islam (1929). – Kepentingan melakukan tabligh (1929). – Hikmat Isra’ dan Mikraj. – Arkanul Islam (1932) di Makassar. – Laila Majnun (1932) Balai Pustaka. – Majallah ‘Tentera’ (4 nomor) 1932, di Makassar. – Majallah Al-Mahdi (9 nomor) 1932 di Makassar. – Mati mengandung malu (Salinan Al-Manfaluthi) 1934. – Di Bawah Lindungan Ka’bah (1936) Pedoman Masyarakat, Balai Pustaka. – Tenggelamnya Kapal Van Der Wijck (1937), Pedoman Masyarakat, Balai Pustaka. – Di Dalam Lembah Kehidupan 1939, Pedoman Masyarakat, Balai Pustaka. – Merantau ke Deli (1940), Pedoman Masyarakat, Toko Buku Syarkawi. – Margaretta Gauthier (terjemahan) 1940. Tashawwuf Modern 1939. – Falsafah Hidup 1939. – Majallah ‘SEMANGAT ISLAM’ (Zaman Jepun 1943). – Majallah ‘MENARA’ (Terbit di Padang Panjang), sesudah revolusi 1946. – Adat Minangkabau menghadapi Revolusi,1946. – Pidato Pembelaan Peristiwa Tiga Maret,1947. – Menunggu Beduk berbunyi,1949 di Bukittinggi, Sedang Konperansi Meja Bundar. – Mandi Cahaya di Tanah Suci. 1950. – Mengembara Dilembah Nyl. 1950. – Ditepi Sungai Dajlah. 1950. – Kenangan-kenangan hidup 1,autobiografi sejak lahir 1908 sampai tahun 1950. – Sejarah Ummat Islam Jilid 1,ditulis tahun 1938 diangsur sampai 1950. – Sejarah Ummat Islam Jilid 2. – Sejarah Ummat Islam Jilid 3. – Sejarah Ummat Islam Jilid 4. – Pedoman Mubaligh Islam,Cetakan 1 1937 ; Cetakan ke 2 tahun 1950. – Muhammadiyah melalui 3 zaman,1946,di Padang Panjang. – 1001 Soal Hidup (Kumpulan karangan dr Pedoman Masyarakat, dibukukan 1950). – Perkembangan Tashawwuf dr abad ke abad,1952. – Empat bulan di Amerika,1953 Jilid 1. – Empat bulan di Amerika Jilid 2. – Pengaruh ajaran Muhammad Abduh di Indonesia (Pidato di Kairo 1958), utk Doktor Honoris Causa. – Soal jawab 1960, disalin dari karangan-karangan Majalah GEMA ISLAM. – Dari Perbendaharaan Lama, 1963 dicetak oleh M. Arbie, Medan; dan 1982 oleh Pustaka Panjimas, Jakarta. – Lembaga Hikmat,1953 oleh Bulan Bintang, Jakarta. – Islam dan Kebatinan,1972; Bulan Bintang. – Fakta dan Khayal Tuanku Rao, 1970. – Sayid Jamaluddin Al-Afhany 1965, Bulan Bintang. – Ekspansi Ideologi (Alghazwul Fikri), 1963, Bulan Bintang. – Hak Asasi Manusia dipandang dari segi Islam 1968. – Falsafah Ideologi Islam 1950(sekembali dr Mekkah). – Studi Islam 1973, diterbitkan oleh Panji Masyarakat. – Sejarah Islam di Sumatera. – Muhammadiyah di Minangkabau 1975,(Menyambut Kongres Muhammadiyah di Padang). – Kedudukan perempuan dalam Islam,1973. “Ayah hanya takut tidak bisa jawab pertanyaan Munkar Nakir!’’ Pertanyaan ini diajukan Hamka (Haji Abdul Malik Karim Amrullah) kepada ayahnya mengenai soal keengganannya untuk melakukan seikere (membungkuk ke arah matahari) atas perintah tentara Jepang. Sang ayah, sebagai tokoh pergerakan dan ulama Minangkabau, Haji Karim Amrullah, yang juga kondang dengan sebutan ‘Haji Rasul’ itu, tentu saja menolak mentah-mentah perintah yang berkonotasi ‘menyembah matahari’ itu. Ia pun sadar sepenuhnya akan risikonya. Tapi, demi keyakinan terhadap nilai ‘akidah’, maka perintah memberi hormat kepada dewa matahari itu tidak dilakukannya. Keteguhan sikap Haji Karim Amrullah itulah yang kemudian oleh Hamka terus dibawa sepanjang usia. Berkali-kali dalam situasi genting ia berani menyatakan diri menolak hal apa pun yang melanggar nilai dasar agama, meskipun itu berarti membuka lebar pintu penjara. Hamka yang lahir di sisi danau Maninjau, Sumatera Barat, 16 Februari 1908, mampu menunjukkan sikap teguh terhadap perkembangan arus zaman hingga akhir masa hidupnya. Sebagai anak manusia yang lahir di bumi Minangkabau, Hamka memang tidak sempat mengenyam pendidikan formal yang tinggi. Sekolahnya hanya dijalani selama tiga tahun. Namun, karena bakat intelektualnya yang berlebih, terutama dalam penguasaan bahasa Arab, ia kemudian tumbuh dan besar menjadi ulama yang disegani, bahkan seringkali disebut salah satu ulama besar Asia Tenggara. Darah dari pihak orang tua sebagai tokoh pembaru ajaran Islam dan perjuangan nasional kemerdekaan, membuat telinga Hamka semenjak masa kanak sudah akrab dengan berbagai pembicaraan mengenai dunia keilmuan. Diskusi yang dilakukan sang ayah bersama rekan-rekannya yang memelopori gerakan Islam Kaum Muda Mingkabau itu ternyata tanpa sadar tertanam kuat di hatinya. Dan, layaknya seorang anak muda yang gelisah dan didukung kebiasaan orang Minangkabau yang suka merantau, Hamka sejak usia sangat belia sudah seringkali meninggalkan rumah. Pada umur 16 tahun misalnya, ia sudah pergi ke Yogyakarta untuk menimba ilmu dari berbagai tokoh pergerakan Islam seperti Ki Bagus Hadikusumo, H Oemar Said Tjokroaminoto, RM Soerjopranoto, dan KH Fakhruddin. Kursus-kursus para tokoh pergerakan yang diadakan di Gedung Abdi Dharmo di Pakualaman, Yogyakarta, untuk beberapa lama diikutinya. Alhasil, jiwa pergerakannya menjadi tumbuh semakin kuat, apalagi setelah ia tinggal di rumah iparnya yang menjadi ketua cabang Persyarikatan Muhammadiyah, A.R Mansur di Pekalongan. Di situlah Hamka mendapat ‘udara’ pengalaman pertamanya di dalam mengurus keorganisasian. Setelah beberapa lama tinggal bersama iparnya, pada Juli 1925, Hamka pulang kampung ke Sumatera Barat. Ia kembali ke rumah ayahnya yang berada di Gatangan, Padangpanjang. Disitulah ia kemudian mendirikan Majelis Tabligh Muhammadiyah. Semenjak itulah sejarah kiprah Hamka dalam organisasi yang didirikan KH Ahmad Dahlan itu dimulai. Dan baru berakhir beberapa puluh tahun ke depan sebelum ia wafat. Setelah sekitar dua tahun berkiprah di kampung halamannya, pada Februari 1927 Hamka berangkat ke Mekah. Selain untuk menunaikan ibadah haji, kepergiannya itu juga dimanfaatkan untuk menimba ilmu dengan tinggal di sana selama setengah tahun. Sembari mengkaji ilmu agama ke berbagai tokoh keagamaan Islam yang mengajar di Baitul Haram, untuk mencukupi biaya hidup sehari-harinya, Hamka bekerja pada sebuah percetakan. Ia baru pulang ke tanah air sekitar bulan Juni 1927 dan langsung menuju ke Medan. Di sana ia kemudian pergi ke daerah perkebunan yang ada di sekitar wilayah pantai timur Sumatera (Deli) untuk menjadi guru agama. Pekerjaan ini dilakoninya sekitar lima bulan. Pada akhir tahun 1927, ia baru sampai kembali ke kampung halamannya di Padangpanjang. Keterlibatannya dalam organisasi Muhammadiyah semakin intens ketika pada tahun 1928 ia diundang menjadi peserta kongres Muhammadiyah yang diselenggarakan di Solo. Dan setelah pulang, karirnya di persyarikatan semakin gemilang. Hamka secara berangsur memangku beberapa jabatan, mulai dari ketua bagian Taman Pustaka, kemudian Ketua Majelis Tabligh, sampai akhirnya meraih jabatan Ketua Muhammadiyah Cabang Padangpanjang. Bahkan, pada tahun 1930 ia mendapat tugas khusus dari pengurus pusat persyarikatan untuk mendirikan cabang Muhammadiyah di Bengkalis. Hamka di sini sudah mulai diakui eksistensinya. Usai mendirikan cabang di Bengkalis, pada 1931 Pengurus Pusat Muhammadiyah mengutus Hamka pergi ke Makassar. Tugas yang harus diembannya adalah menjadi mubalig dalam rangka mempersiapkan dan menggerakkan semangat rakyat untuk menyambut Muktamar Muhammadiyah ke-21 yang diselenggarakan pada Mei 1932. Hamka tinggal di sana selama dua tahun. Pada 1934 ia kembali ke Padangpanjang untuk kemudian diangkat menjadi Majelis Konsul Muhammadiyah Sumatera Tengah. Kiprah Hamka dalam pergerakan semakin gencar setelah ia pindah ke Medan, pada 22 Januari 1936. Persyarikatan Muhammadiyah semakin meluas ke segenap wilayah Sumatera bagian timur. Pada sisi lain, secara perlahan tapi pasti kemampuan intelektual dan kepenulisannya juga semakin terasah, terutama setelah ia memimpin majalah Pedoman Masyarakat dan Pedoman Islam (1938-1941). Berbagai artikel keagamaan serta cerita pendek ditulisnya dengan bahasa dan logika yang demikian jernih. Bakat menulisnya sebagai sastrawan serius pada dekade ini juga berkembang secara simultan dengan kemampuan orasinya yang amat memukau. Selain sibuk berceramah, Hamka kemudian menerbitkan berbagai karya roman seperti: Di Bawah Lindungan Ka’bah (1938), Tenggelamnnya Kapal van Der Wick (1939), Merantau ke Deli (1940), Di dalam Lembah Kehidupan (1940, kumpulan cerita pendek). Isi berbagai romannya itu tampak jelas terpengaruh dari pengalaman pribadinya ketika ia pergi ke Mekah dan tinggal beberapa lama menjadi guru agama di lingkungan buruh perkebunan yang ada di Sumatera bagian timur. Pada kurun waktu ini ada satu karya Hamka yang sangat penting. Buku yang diterbitkan pada tahun 1939 itu diberi judul Tasawuf Modern. Hamka dalam buku ini mengkritisi kecenderungan dari berbagai aliran tasawuf yang ‘berpretensi negatif’ terhadap kehidupan dunia. Tasawuf banyak dijadikan sebagai cara untuk mengasingkan diri dari kehidupan dunia yang sering dipandang serba ruwet dan penuh kotoran dosa. Hamka dalam buku ini berusaha merubah persepsi itu. Ia menyerukan ‘tasawuf positip’ yang tidak bersikap asketisme. Katanya, menjadi Muslim sejati bukannya menjauhkan diri dari dunia, tapi terjun secara langsung ke dalamnya. Buku Hamka ini sampai sekarang tetap laris manis di pasaran. Kemudian, pada tahun 1942 bersamaan dengan jatuhnya koloni Hindia Belanda ke dalam tampuk kekuasaan penjajah Jepang, Hamka terpilih menjadi pimpinan Muhammadiyah Sumatera Timur. Posisi jabatan yang diterima pada masa sulit ekonomi ini dijalaninya selama tiga tahun. Setelah itu, pada tahun 1945 ia memutuskan untuk melepaskan jabatan tersebut karena pindah ke Sumatera Barat. Di sana Hamka terpilih menjadi ketua Majelis Pimpinan Muhammadiyah Daerah Sumatera Barat. Jabatan ini ia rengkuh hingga tahun 1949. Menjelang pengakuan kedaulatan, yakni setelah tercapainya Persetujuan Roem Royen pada tahun 1949, ia memutuskan pindah dari Sumatera Barat ke Jakarta. Kali ini Hamka merintis karir sebagai pegawai negeri golongan F di Kementerian Agama yang waktu itu dipegang oleh KH Abdul Wahid Hasyim. Melihat kemampuan intelektualnya, menteri agama waktu itu menugaskan kepada Hamka untuk memberi kuliah di beberapa perguruan tinggi Islam, baik yang berada di Jawa maupun di luar Jawa. Beberapa perguruan tinggi yang sempat menjadi tempat mengajarnya itu antara lain; Perguruan Tinggi Islam Negeri (PTAIN) di Yogyakarta, Universitas Islam Jakarta, Fakultas Hukum dan Falsafah Muhammadiyah di Padangpanjang, Universitas Muslim Indonesia (UMI) di Makassar, dan Universitas Islam Sumatera Utara (UISU) di Medan. Uniknya lagi, di tengah kesibukannya sebagai pengajar di berbagai universitas itu, Hamka sempat menulis biografi ayahnya, Haji Abdul Karim Amrullah. Katanya, buku yang ditulisnya ini adalah sebagai kenang-kenangan kepada ayahnya yang sangat teguh hati. Apalagi bagi sang ayah sendiri, Hamka adalah buah hatinya dimana ia pernah dijuluki sebagai ‘Si Bujang Jauh’ karena begitu sering dan lamanya merantau pergi ke berbagai negeri dan daerah. Di sela kegiatannya mengajar di berbagai universitas itu, Hamka mengulang kembali kepergiannya untuk beribadah haji ke tanah suci. Sama dengan kepergian hajinya yang dilakukan 24 tahun silam, kepergiannya ke Mekah kali ini juga disertai dengan perjalanannya ke beberapa negara yang berada di kawasan semenanjung Arabia. Hamka sendiri sangat menikmati lawatannya itu. Apalagi ketika berada di Mesir. Ia menyempatkan diri untuk menemui berbagai sastrawan kondang Mesir yang telah lama dikenalnya melalui berbagai tulisannya, seperti Husein dan Fikri Abadah. Mereka saling bertemu, bertukar pikiran dan minat dalam bidang sastera dan kehidupan umat secara keseluruhan. Sama halnya dengan kepulangan haji pertamanya, sekembalinya dari lawatannya ke berbagai negara di Timur Tengah itu, inspirasi untuk membuat karya sastera pun tumbuh kembali. Lahirlah kemudian beberapa karya roman seperti, Mandi Cahaya di Tanah Suci, Di Lembah Sungai Nil, dan Di Tepi Sungai Dajlah. Bagi banyak kritikus sastera banyak diantara mereka menyebut bahwa, Hamka dalam penulisan karyanya itu banyak terpengaruh pujangga Mesir. Ini tampaknya dapat dipahami sebab ia seringkali menyatakan terkagum-kagum pada beberapa penulis karya dari negeri piramid itu, salah satunya adalah Al Manfaluthi. Usai pulang dari kunjungan ke beberapa negara Arab, pada tahun 1952 ia mendapat kesempatan untuk mengadakan kunjungan ke Amerika Serikat. Hamka datang ke negara itu atas undangan Departemen Luar Negeri Amerika. Ia mengunjungi berbagai tempat, seperti negara bagian California, untuk memberikan ceramah yang berkaitan dengan agama. Kunjungan ke Amerika kali ini ternyata hanya merupakan kunjungan pembuka saja. Setelah itu ia kemudian kerapkali diundang ke sana, baik atas undangan dari negara bersangkutan maupun datang sebagai anggota delegasi yang mewakili Indonesia. Pada kurun waktu itu, Hamka kemudian masuk ke dalam Badan Konstituate mewakili Partai Masyumi dari hasil Pemilu 1955. Ia dicalonkan Muhammadiyah untuk mewakili daerah pemilihan Masyumi di Jawa Tengah. Dalam badan ini Hamka bersuara nyaring menentang demokrasi terpimpin. Pada sebuah acara di Bandung, pada tahun 1958 ia secara terbuka menyampaikan pidato penolakan gagasan demokrasi terpimpin ala Soekarno itu. Namun, di tengah panas dan padatnya perdebatan, Hamka pada tahun itu juga sempat mendapat undangan menjadi anggota delegasi Indonesia untuk mengikuti Simposium Islam di Lahore. Setelah itu, kemudian dia berkunjung lagi ke Mesir. Dalam kesempatan kali ini dia mendapat kehormatan bidang intelektual sangat penting, yakni mendapat gelar Doktor Honoris Causa (HC) dari Universitas Al-Azhar, Kairo. Di forum itu, ia menyampaikan pidato pengukuhannya sebagai guru besar luar biasa dengan topik bahasan mengenai Pengaruh Muhammad Abduh di Indonesia. Masa Orde Lama yang dipimpin oleh Presiden Soekarno menjadikan politik sebagai panglima. Waktu itu Soekarno menginginkan agar bangsa Indonesia betul-betul mandiri. Ia serukan gerakan untuk melawan imperialisme barat, yang disebut sebagai kekuatan neo-kolonialisme baru. Pada satu sisi ide ini berhasil cukup baik. Posisi Indonesia menjadi penting dan menjadi salah satu kekuatan sentral gerakan non blok. Namun, pada sisi yang lain perbaikan ekonomi ternyata tidak dapat berjalan baik. Pertentangan politik, terutama antara golongan nasionalis dan Islam menjadi-jadi, di mana kemudian mencapai puncaknya ketika pembicaraan mengenai konstitusi negara menjadi buntu. Baik pihak yang anti dan pendukung ide negara Islam terus saja tidak mampu berhasil mencapai kata sepakat. Dan Hamka hadir dalam percaturan perdebatan itu. Sayangnya, Presiden Soekarno tidak sabar melihat perdebatan itu. Dengan alasan adanya ancaman perpecahan bangsa yang serius, Soekarno pada 5 Juli 1959 kemudian mengeluarkan Dekrit Presiden, yang diantaranya adalah menyatakan pembubarkan Badan Konstituante dan kembali kepada konstitusi negara pada UUD 1945. Menyikapi keadaan tersebut, Hamka pada tahun yang sama, yakni Juli 1959, mengambil inisiatif menerbitkan majalah tengah bulanan, Panji Masyarakat. Hamka duduk sebagai pemimpin redaksinya. Sedangkan mengenai isi majalahnya, Hamka memberi acuan untuk memuat tulisan yang menitikberatkan kepada soal-soal kebudayaan dan pengetahuan ajaran Islam. Tetapi sayangnya, majalah ini berumur pendek, yakni hanya satu tahun. Majalah Panji Masyarakat dibubarkan oleh pemerintahan rezim Soekarno, tepatnya pada tanggal 17 Agustus 1960. Alasan pembredeilan: karena majalah memuat tulisan Dr Mohamad Hatta yang berjudul ‘Demokrasi Kita.’ Sebagai imbasnya, Hamka kemudian memutuskan diri untuk lebih memusatkan pada kegiatan dakwah Islamiyah dengan mengelola Masjid Agung Al-Azhar yang berada di kawasan Kebayoran Baru, Jakarta. Dalam dunia politik pemuatan tulisan Hatta di majalah Panji Masyarakat itu memang membuat kehebohan besar. Perbedaan pandangan antara Soekarno dan Hatta dalam mengelola negara terbuka dengan nyata. Dalam tulisan itu Hatta mengkritik keras sistem demokrasi terpimpin yang dijalankan karibnya, Soekarno. Menurutnya, demokrasi yang tengah dijalankannya itu bukan demokrasi. Mengapa demikian? Sebab, ada sebagian kecil orang ‘’menguasai’’ sebagian besar orang. Ini tidak sesuai dengan prinsip demokrasi itu sendiri, di mana harus ada ‘persamaan’ pada setiap manusia. Maka, demokrasi seperti itu, tulis Bung Hatta, a priori harus ditolak. Panasnya persaingan politik pada sisi lain juga kemudian meniupkan badai fitnah kepada Hamka. Jaringan kelompok ‘politik kiri’ membuat tuduhan bahwa roman Tenggelamnya Kapal van der Wijk adalah merupakan plagiat dari roman sastrawan Perancis, Alphonse Karr yang kemudian disadur ke dalam bahasa Arab oleh Al Manfaluthi. Reaksi pro kontra segera saja menyergapnya. Golongan yang tidak suka akan adanya pengaruh agama di Indonesia memanfaatkan betul polemik ini untuk menghancurkan nama baiknya. Saat itu hanya HB Jassin dan kelompok budayawan yang tergabung dalam Manifes Kebudayaan (Manikebu) saja yang gigih membelanya. Berbagai tulisan atas polemik ini kemudian pada tahun 1964 dikumpulkan dan diterbitkan oleh Junus Amir Hamzah dengan judul Tenggelamnya Kapal van der Wijk dalam Polemik. Usaha penjatuhan citra kepada Hamka ternyata tidak hanya melalui karya sastera saja. Tanpa dasar serta alasan tuduhan yang jelas, pada 27 Januari 1964 tiba-tiba saja ia ditangkap oleh alat keamanan negara. Hamka kemudian dimasukkan ke dalam tahanan tanpa ada sebuah keputusan. Ia berada di penjara bersama para tahanan politik lainnya, seperti Muchtar Lubis, sampai tumbangnya tampuk kekuasaan Soekarno. Bagi penguasa, Hamka saat itu dianggap sebagai orang berbahaya. Namun, bagi Hamka sendiri, masuknya dia ke dalam penjara malahan seringkali dikatakan sebagai rahmat Allah. Menurutnya, akibat banyaknya luang waktu dipenjara maka ia dapat menyelesaikan tafsir Alquran, yakni Tafsir Al-Azhar (30 juz). ’’Saya tidak bisa membayangkan kapan saya bisa menyelesaikan tafsir ini kalau berada di luar. Yang pasti kalau tidak dipenjara maka saya selalu punya banyak kesibukan. Akhirnya, tafsir ini sampai akhir hayat saya mungkin tidak akan pernah dapat diselesaikan,’’ kata Hamka ketika menceritakan masa-masa meringkuk di dalam penjara. Selain itu, beberapa tahun kemudian Hamka juga mengakui bahwa tafsir Alquran ini adalah merupakan karya terbaiknya. Seperti sunnatullah, bahwa penguasa itu datang dan pergi silih berganti, maka setelah naiknya Presiden Soeharto dalam tampuk kekuasaan negara, secara perlahan kondisi fisik presiden Soekarno setelah itu pun terus menyurut. Berbeda dengan ketika berkuasa, hari-hari terakhir Panglima Besar Revolusi ini berlangsung dengan pahit. Soekarno tersingkir dari kehidupan ramai sehari-hari. Ia terasing dengan kondisi sakit yang akut di rumahnya. Soekarno terkena tahanan kota. Ia tidak diperbolehkan menerima tamu dan bepergian. Pada tahun 1971 Soekarno pun meninggal dunia. Mendengar Soekarno meninggal, maka Hamka pun pergi untuk bertakziah. Tidak cukup dengan itu, Hamka kemudian mengimami shalat jenazah mantan presiden pertama itu. Pada saat itu orang sempat terkejut dan bingung ketika Hamka bersedia hadir dalam acara tersebut. Mereka tahu Soekarno-lah dahulu yang memutuskan untuk memasukkannya dalam penjara. ‘’Saya sudah memaafkannya. Dibalik segala kesalahannya sebagai manusia, Soekarno itu banyak jasanya,’’ kata Hamka. Setelah itu, masa orde baru di bawah kepemimpinan Soeharto bergerak semakin cepat. Hamka semakin dalam menceburkan diri ke berbagai aktivitas keagamaan. Secara rutin ia berceramah ke berbagai wilayah baik dalam dan luar negeri. Setiap pagi sehabis Subuh siraman rohaninya yang disiarkan secara nasional melalui RRI terdengar ke berbagai penjuru pelosok tanah air. Dengan suara khas serak-serak basahnya, Hamka membahas berbagai soal kehidupan, mulai tingkat sangat sepele seperti cara bersuci yang benar sampai kepada persoalan sangat serius, misalnya soal tasawuf. Saking banyaknya penggemar, maka ceramahnya pun banyak diperjualbelikan dalam bentuk rekaman di tokok-toko kaset. Pada tahun 1975, Hamka diberi kepercayaan untuk duduk sebagai Ketua Umum Majelis Ulama Indonesia (MUI). Berbagai pihak waktu itu sempat sangsi, bila itu diterima maka ia tidak akan mampu menghadapi intervensi kebijakan pemerintah Orde Baru kepada umat Islam yang saat itu berlangsung dengan sangat massif. Namun, Hamka menepis keraguan itu dengan mengambil langkah memilih masjid Al-Azhar sebagai pusat kegiatan MUI dari pada berkantor di Masjid Istiqlal. Istilahnya yang terkenal waktu itu adalah kalau tidak hati-hati nasib ulama itu akan seperti ‘kue bika’, yakni bila MUI terpanggang dari ‘atas’ (pemerintah) dan ‘bawah’ (masyarakat) terlalu panas, maka situasinya akan menjadi sulit. Bahkan MUI bisa akan mengalami kemunduran serius. Usaha Hamka untuk membuat independen lembaga MUI menjadi terasa sangat kental ketika pada awal dekader 80-an, lembaga ini ‘berani melawan arus’ dengan mengeluarkan fatwa mengenai persoalan perayaan Natal bersama. Hamka menyatakan ‘haram’ bila ada umat Islam mengikuti perayaan keagamaan itu. Adanya fatwa itu kontan saja membuat geger publik. Apalagi terasa waktu itu arus kebijakan pemerintah tengah mendengungkan isu toleransi. Berbagai instansi waktu itu ramai mengadakan perayaan natal. Bila ada orang Islam yang tidak bersedia ikut merayakan natal maka mereka dianggap orang berbahaya, fundamentalis, dan anti Pancasila. Umat Islam pun merasa resah. Keadaan itu kemudian memaksa MUI mengeluarkan fatwa. Risikonya Hamka pun mendapat kecaman. MUI ditekan dengan gencarnya melalui berbagai pendapat di media massa yang menyatakan bahwa keputusannya itu akan mengancam persatuan negara. Hamka yang waktu itu berada dalam posisi sulit, antara mencabut dan meneruskan fatwa itu, akhirnya kemudian memutuskan untuk meletakkan jabatannya. Ia mundur dari MUI pada 21 Mei 1981. Bagi pengamat politik, sikap tegas Hamka ketika memimpin MUI adalah merupakan cerminan dari pribadinya. Bahkan, mereka pun mengatakan sepeninggal Hamka, kemandirian lembaga ini semakin sulit. Demi melanggengkan hegemoni Orde Baru kemudian terbukti melakukan pelemahan institusi keagamaan secara habis-habisan itu. Fatwa MUI sepeninggal dia terasa menjadi tidak lagi menggigit. Posisi lembaga ini semakin lemah dan terkesan hanya sebagai tukang stempel kebijakan pemerintah terhadap umat Islam belaka. Hamka yang wafat di Jakarta, 24 Juli 1981, meninggalkan karya pena yang sangat banyak jumlahnya. Tercatat paling tidak sekitar 118 buah yang sudah dibukukan. Ini belum termasuk berbagai cerita pendek dan karangan panjang yang tersebar di berbagai penerbitan, media massa, dan forum-forum ilmiah, serta ceramah. Sebagai bukti penghargaan yang tinggi dalam bidang keilmuan, Persyarikatan Muhammadiyah kini telah mengabadikan namanya pada sebuah perguruan tinggi yang berada di Yogyakarta dan Jakarta: Universitas Hamka (UHAMKA). Berbagai karya tulisnya yang meliputi banyak bidang kajian seperti politik, sejarah, budaya, akhlak dan ilmu-ilmu keislaman hingga kini terus dikaji oleh publik, termasuk menjadi bahan kajian dan penelitian untuk penulisan risalah tesis dan disertasi. Buku-bukunya terus mengalami cetak ulang. 1. Berbagai artikel mengenai kajian Islam di berbagai media massa, seperti Media Indonesia, Republika, dan Kompas. 2. Enskilopedia Indonesia, PT Ichtiar Baru van Hoeve 1982. 5. Tafsir Al-Azhar, Hamka, 1990. 6. Data-data penunjang lainnya dari internet.